SOBO will promote our online webstore, Surropa.com, with a pop-up retail location at F Factory, a limited edition “retail and cultural environment” associated with Art Basel Miami. 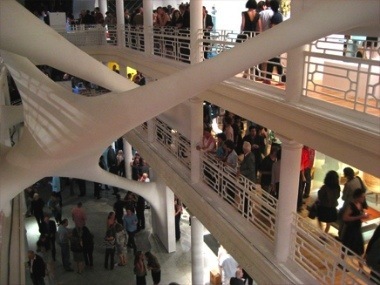 The show was started by luxury brand Fendi and is housed in the Moore Building in Miami’s Design District (191 NE 40th St). In addition to Fendi, Surropa will be showcased with top brands such as accessories designer Katherine Fleming, hipster toy company, Neon Monster, Parisian clothing line Maison Martin Margiela, among many others. Surropa will be there through December 6th. Come check it out!